A customer from my hometown of Moraga commissioned my most recent painting. His wife originally saw my artwork displayed at Home/Made Kitchen a few months ago. 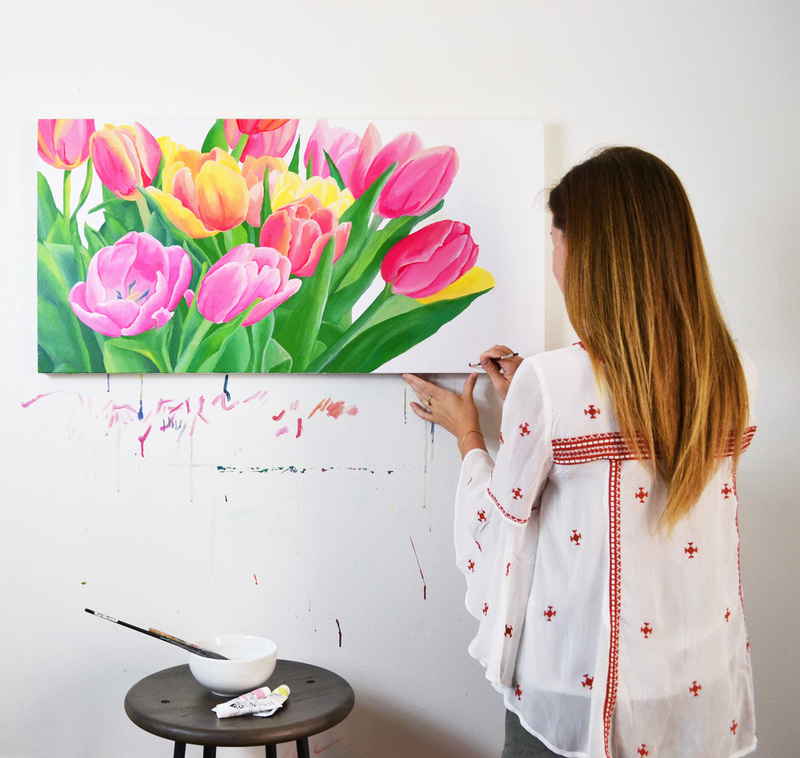 She initially purchased a painting from the show at Home/Made titled Twelve Tulips. Tulips are her absolute favorite flower! Her husband asked me to create a pink tulip painting for their wedding anniversary. I had so much fun getting to create a larger scale painting and hope to continue creating more paintings in this similar aesthetic.